When it comes to employment or more specifically finding a job, there are many aspects of your life that you’d need to polish up.This is to ensure that all your positive traits and skills are highlighted by your potential employer. You may have the perfect tie and suit for the interview, a perfectly presented resume, certificates and awards to boost your chances, but one aspect many forget to clean up is social media. 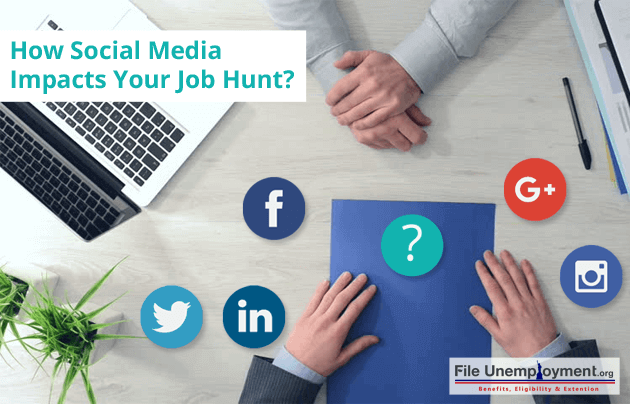 A nationwide survey by careerbuilder.com revealed that 39% of employers comb through their candidates’ social media profiles before selecting them. This means that 2 out of 5 of your potential employers determine your employability based out of your social media profiles. Out of 10 employers in a company, 3 of them are solely hired to screen through the social media profiles of their potential candidates. Now based on this survey many points arise on what one should or shouldn’t do when it comes to having a presentable social media profile. So here are a few things you’re probably doing that is costing you that dream job! You might think that this is the quickest and easiest fix when it comes to cleaning up your act online. It Isn’t. In fact, this does more harm than good. 50% of employers do not consider candidates who simply are ghosts online. They feel that the candidate is untrustworthy if he’s so scared to be seen in the public eye. Having a social media profile basically is key for employers to get a glimpse of your personality. A persona could be the key to nailing a job or losing a job as well. This is a no-brainer, but using a lot of profanity and cuss words depict poorly when it comes to your employer. The employer gauges the kind of language as a depiction of your temperament and in some cases your maturity. A candidate who uses a lot of cuss words on social media is usually considered as someone as aggressive, which is not appropriate for a workplace. Alongside the use of bad language, employers keep a close eye on your grammar. Grammatical errors in your Facebook posts or tweets play a huge role when it comes to employment. This is because you can always have someone make a polished and refined resume and have the most beautifully structured cover letter. Won’t you see that level of flowery language on your facebook post, do you? Your social media posts depict your level of literacy and give an insight of how well you can articulate and communicate. So poor grammar is an absolute no when it comes to keeping your social media profiles clean. Potential employers also keep a keen eye on the type of content you post. Provocative, Inappropriate images and text will certainly send you to the bad books of your potential employer. This is because hiring you would make you an employee as well as a representative of the company to the outside world. Posting negative and controversial content on social media brings the company in a negative light, this is why most employers don’t entertain candidates with such content on their profiles and feed. While employers don’t encourage their employees to drink or use drugs, they certainly will not tolerate such vices in a potential candidate. So any imagery, videos or posts related to your drunken revelry or experiments with drugs would be an instant rejection from your potential employer. 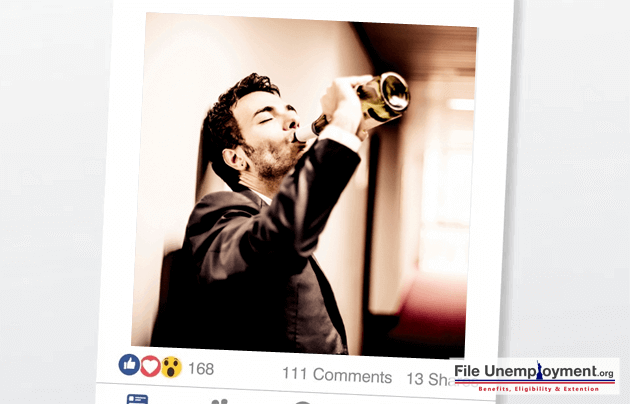 As you would expect, posting pictures or videos indulging in such vices depicts in your personality and that is something which employers do not expect out their employees. Most organizations do not have any political bias or allegiance to any political party. Hence employers also look out for posts which are extremely supportive or negative towards political parties. This is because hiring a candidate who tends to propagate a certain political party would lead to the candidate unintentionally presenting the company he works for to have a political bias. This should come as a no-brainer to you. Sexual Harassment, Sexist comments, racism, and racial slurs are now shunned upon and are regarded as condemnable offenses. Naturally, employers and hiring organizations would not like to employ a candidate who indulges in spreading hate through racial slurs or makes demeaning statements to women. Companies also do not hire candidates with sexist and racist ideologies because of how they might behave with their colleagues at the workplace. Sexual harassment cases and arguments over race has cost many companies their reputation and a lot of money in lawsuits and damage control. The same applies to candidates who tend to demean and belittle people belonging to a different religion than theirs. No one likes it when someone airs dirty laundry. The same goes for your future employer. Your future employers don’t take too kindly if they find posts of a candidate ranting negatively about their previous employer. This makes the candidate look disloyal as well as unreliable. It also presents the candidate as selfish and someone who is unwilling to align with a company’s goals. It’s apparent that each employee at a company has a unique experience with his employer, and this experience does not represent how a company treats all its employees. So when an ex-employee begins to negatively rant about his/her past workplace, future employers see someone who would try to tarnish their reputation if they were to be hired and fired. Another issue which future employers have with candidates is when they divulge company secrets on to the public. Every company has its own rules, guidelines, and policies. Divulging them in a public space leaves a company vulnerable as well embarrassed in front of other corporate companies. This also tells the employer that the candidate is unreliable with sensitive information and cannot be trusted. Even when you have cleaned up your act online, and got the job! It doesn’t end there. More than half of the country’s companies (51%) still use social media to research on their current employees. So just because you’ve got the job, doesn’t mean you’re out of the woods and can go back to posting the content you used to post before you got your job. Employers still do check on their employees via social media to fare how they are doing. There have been many cases where activities on social media have led managers to fire their employees because of the content that has been posted. But one should remember. Employers aren’t looking online at their candidate’s profiles only to find dirt and not offer them a job. Employers also tend to look for qualities and posts that show off the candidate’s skills and its relevance to the job at hand. So while you can cut down on the fluff on your social media profiles, you could practice pushing good organic content and writing posts and comments that compliment your skillset. When it comes to combing through social media accounts of potential candidates, they aim to look for skills, habits, and behavior that seem appropriate for the type of job requirement and whether it aligns with the workplace. They also look for unique skills that make the candidate more marketable when it comes to getting a job. So it is rather best to explore new skills as they only serve as added perks when looking for a job of your choice. So when it comes to nailing that job and working towards the American dream, it doesn’t stop with just a perfect cover letter and resume and a fine dress code. Your online persona requires a professional revamp as well. Hopefully, you realized the mistakes you were making above and rectified them and are now ready to be the eager boy scout like an employee that your future boss expects you to be! Now fine tune that social media persona and go get em, tiger! Can You Get Fired Because of a Facebook Post?